Experience working in both development and publishing environments within the video-game industry in Japan. Refined project and team-management skills spanning the initial planning steps to post-release and evaluation stages for various video-game (console and mobile) and website projects, all applied using Agile-Scrum methodologies. An engaged leader with strong communication skills and experience working with and motivating small-sized as well as inter-departmental teams (ex. Design, Debug/QA, Localization, Marketing teams, etc.) (6~10 people). Well-versed in assisting executive teams (CEO, Director of Operations/Publishing, etc.) with administration, business strategy, and lead-development/management-related tasks. Comfortable with digital marketing and data analysis strategies, including KPI monitoring and user-data analysis. Passionate about managing teams and digital projects within the video-game, IT/software, and web-marketing fields. Self-developed a Role-Playing Game in Japanese to enhance game-development and project-management knowledge. Thorough quality assurance testing of freshly-developed game binaries for “Dragon Quest Monsters: Super Light”(published by SQUARE ENIX Co.,Ltd) on Android and iOS platforms. Specific areas of testing include new game modes/systems, menu/GUI additions, story-mode and multiplayer additions. An integral team-member of the bug-free and on-time launch of “Dragon Quest Monsters: Super Light” ‘s yearly major content update (v.5.0.0), which increased the total download count over three months by approximately 8.0%, from 25,000,000 to an estimated 27,000,000 total downloads. Provide ongoing support to the event-team for event-related debugging tasks involving monster data, item/equipment data, story and event-specific quests, gacha system updates, statistic/parameter balancing, and skill/ability testing, etc. Support ticket creation, status-monitoring, and back-log/debug schedule management via the “Redmine” team collaboration tool. Left the company in order to pursue a professional career in Japan. Managed the company website renewal, including but not limited to, budget, development team members, and task scheduling. Uncovered a previously overlooked target market segment (mobile users) through the use of digital analytics and trend forecasting, which resulted in an estimated 51% increase in prospective clients. This discovery has now also led to the creation and implementation of a second marketing plan alongside of The Bootcamp Effect’s traditional marketing strategy. Increased “Goal Visibility” of online platforms and digital marketing strategies by implementing lead-generation, sign-up, and retention rate tracking measures. Improved brand visibility by introducing a YouTube channel into the marketing mix, generating approximately 7,000 unique views from the company’s target market demographic. Also took the initiative to shoot video clips and produce various promotional trailers. Directly assisted the CEO with the continuous improvement of marketing and operations strategies. Internship completed; Returned to Canada to complete university studies. Optimized the project release process by developing and implementing a new Scrum-Agile-based estimation model which provides time estimations of milestone (sprint) tasks and entire project completion dates; this model is now used for planning all newly acquired IP’s. Coordination of all active titles and tasks across various departments within the publishing process: Content Acquisition, QA Testing, Localization, Release Asset Management, Sales & Marketing, Live Support. Lead Producer for $5.5 million “Bloodstained: Ritual of the Night” Kickstarter podcast series. Flawless assembly and management of all game and marketing assets (game files, preview trailers, concept artwork, screenshots, etc. ), and the creation of store pages for titles published via the Sony PlayStation Network, Steam, PLAYISM, Apple iTunes Store, and Google Play Store. Actively worked with the Chief Executive Officer, Director of Publishing, and Team Leader to help identify and improve problematic business processes within several departments; a finalized 12-page business process analysis report was then presented to the Chief Executive Officer. Was the driving force behind a paperless member check-in system; this also allowed for members’ various metrics to be tracked and for trend analysis to be conducted. Ran data analysis tests on multiple variables, and tracked a large array of variable when clients checked in (frequency of visits, common time-slots, weight, overall progress, etc.). These are being used to continuously improve the efficiency of instructed classes as well as content-generation and various marketing campaigns. Exceeded sales targets and improved the overall customer experience simultaneously by successfully generating product interest and attracting customers, determining each customer’s unique needs, suggesting relevant products to address their needs, and properly closing each sale. 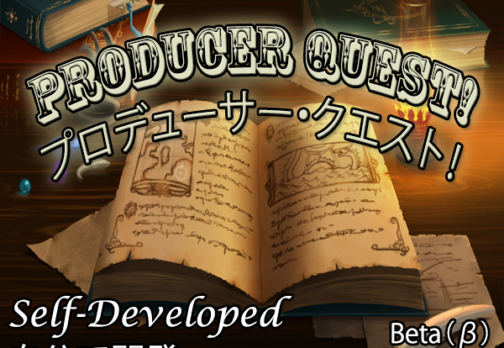 Lead Producer, Game Planner, QA Manager, Lead Tester, Localization Support, Scenario Writer, Level/Map Designer, and Music Composer for "Producer Quest! ", for Browser (HTML5), Android, and Apple iOS platforms. Jon has worked for The Bootcamp Effect since June 2013. During his employment, he has seen his responsibilities and contribution grow dramatically. He has been an invaluable asset to our company for developing and testing administrative systems, marketing and analytics, customer service, account management and HR recruitment and development. 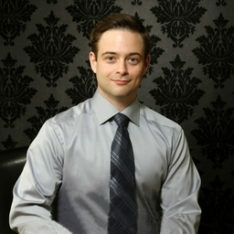 Jon originally came to The Bootcamp Effect in a personal assistant capacity from there, he saw his role grew with website maintenance and design, digital marketing campaigns and managing website analytics, and then grew to managing customer accounts, and redeveloping infrastructure systems for The Bootcamp Effect. In addition, he garnered experience in human resources interviewing, hiring, and training new employees. I am sad to see Jon’s departure, but know his potential is too great to keep him here and am confident his broad skillset will make him successful with whatever endeavors he chooses to pursue. I first met Jon at Active Gaming Media, and since then I’ve considered him to be both a great coworker and friend. Jon possesses great communication skills whether in English or Japanese, and navigated the bilingual/multicultural workplace we shared with ease. Whether receiving instructions or communicating ideas, everything is very easily manageable for Jon, and in turn, our team as well. Jon was in charge of releases at AGM, where his ability to remain punctual and communicate any potential issues in a timely manner were a great asset to the team; I could definitely count on him and the quality of his work. Even with high-pressure projects such as the Bloodstained Kickstarter campaign, he was able to deliver solid work while maintaining a congenial attitude with the rest of the team. When there were issues with Astebreed’s release on PS4 regarding its PEGI rating, Jon quickly brought the issue up with the team and got the problem under control by putting in the extra man-hours which were required to save the game’s release date. Post-release, Jon’s analytical skills helped greatly in maintaining smooth, positive business operations. Besides basic office software like MS Office, I was impressed by how quickly he could grasp new software and systems thrown at him. From new marketing tasks, such as SEO and market research, to audio editing software, it was a great relief to have him on my team and even found myself his student from time to time. Jon definitely has a lot of untapped potential and I can say with certainty that he would be a great asset to any business operation. During the time working together at Active Gaming Media in Osaka Jon was a great partner and pleasure to work with. First of all, I would like to remark his high command of Japanese language, which I found to be on a level which is more than sufficient for any type of business/company environment within Japan. Jon was able to voice his thoughts and ideas, as well as concerns about projects clearly to supervisors and other executives within the office and within meetings in the boardroom. of optimizing the publishing department work-flow, allowing to cut down on unnecessary and time consuming tasks (or improving their efficiency where removing them was impossible). His admirable knowledge in the realms of SEO and Google analytical tools had been extremely helpful in raising an in-house digital platform’s exposure to new and existing markets, at the same time allowing him to serve as a mentor for other members of the staff having to use said tools for their work. personal issues, ever presenting his outstanding flexibility and teamwork capabilities. While working together it was also hard to not notice his creative side (the podcast he produced was a pleasure to listen to), and a very high sense of personal responsibility. I am sure that Jon is going to be a great asset for any company he is going to work for!